So I'm looking for a bike that has the following: Belt Drive, 11 speed Internal hub, Mudguards and can fit a rack at the back. Canyon and BMC have a 50T Crank in the front and 24T sprocket at the back. Ghost has a 46T in the front and a 24T at the back. All 3 have Shimano Alfine 11 speed. 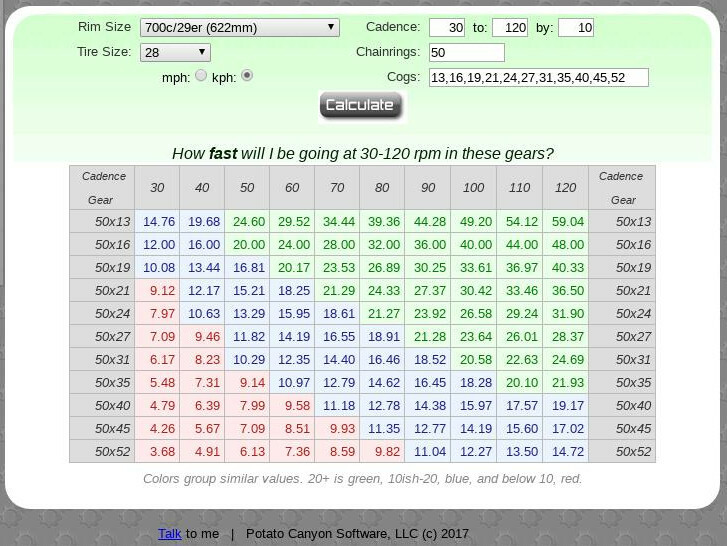 On my road bike I normally cycle 28-30 km/hr and my cadence is normally between 90-100 (maybe on windy days 110). 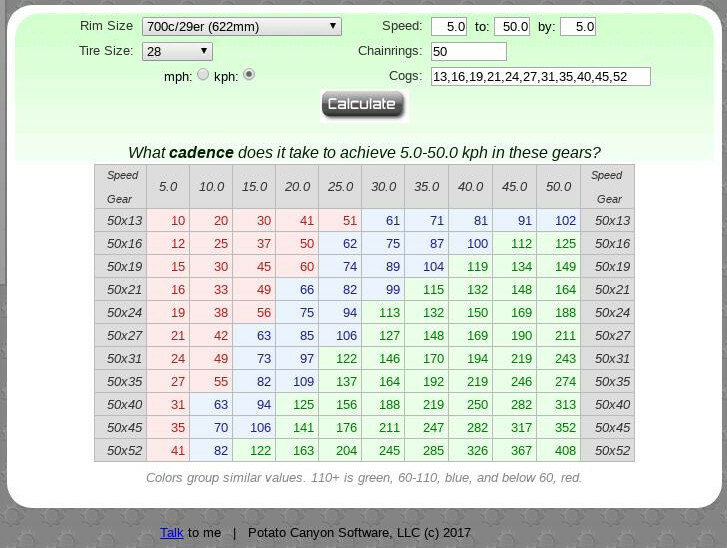 I'm just wondering 1. is there a system to measure gear ratio / cadence for belt drive bikes? A Gates drive belt uses an 11mm pitch between teeth. A conventional bike chain is 1/2 inch or about 12.7mm. The upshot is that for the same tooth count, a drive belt component will be slightly smaller than the comparable roller-chain unit with the same tooth count. Good news - since the front chainring and rear cog use the same size, then the ratio is all that matters, and you can use all the normal formulae to figure out cadences. I couldn't find a nice calculator that deals with non-whole teeth, so I've rounded to these numbers instead. Loss of precision detected. I've also assumed a 28mm tyre with a 700c wheelsize. A gear ratio is a gear ratio. It doesn’t matter if the gears are connected by a chain, a belt, meshing with one another or anything else. All that matters is the ratio of the number of teeth. Not the answer you're looking for? Browse other questions tagged cadence belt-drive alfine or ask your own question.